NIA CHARLESTOWN NEVIS (February 22, 2018) — A delegation from the Princess Juliana International Airport in St. Maarten will visit with stakeholders on Nevis on February 23, 2018. While here they will discuss the status of the airport’s operations and its recovery following the passage of Hurricane Irma some months ago. 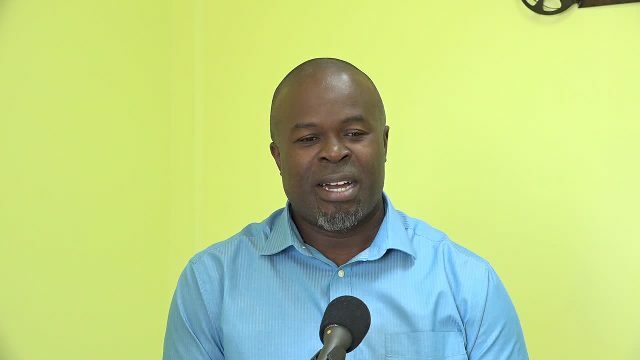 Mr. Greg Phillip, Chief Executive Officer of the Nevis Tourism Authority (NTA), is describing the planned visit as an important one for Nevis and future connectivity at the Vance W. Amory International Airport. “Many of the international flights that come in from places like Canada and also Europe on a daily basis do carry passengers, tourist and otherwise, for islands like Nevis so the connectivity between that airport and here via airplanes like Winair and others are very important. “This meeting is a very significant and important one for us to have so that we can see how soon they will be back on stream, how soon they will be back to full operation and really begin to benefit the island of Nevis in a way that they have been in the past,” he said. Mr. Phillip, explained that Nevis is part of the Air Service Development Committee, an organisation formed and headed by the Princess Juliana International Airport. Its main focus with and on the committed is to try to develop the St. Maarten airport as a hub for Nevis and other neighbouring islands, to ensure the provision of good service to the island of Nevis. Other entities who will be represented at the meeting which will be held at the NTA’s conference room are the Ministries of Tourism and Finance and the Nevis Air and Sea Ports Authority.